This is a thick roti / rotti made with carrot. Carrot is grated and briefly cooked with spices and rice flour to form into a soft dough. The dough is then spread on a deep pan and cooked on low flame till little crisp. 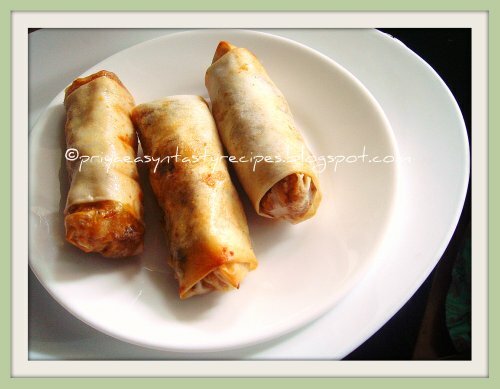 Carrot rotti is generally served with a pickle and yogurt. Makes: around 2 Carrot Roti. Wash, remove ends, peel and grate the carrot using a food processor. Alternatively, grate the carrot using thick side of a box grater. Roughly tear the curry leaves. Grind green chiles, cumin seeds and salt into coarse paste without adding any water. Bring to boil a little more than half a cup of water. In a mixing bowl, mix together rice flour, ground green chile paste, grated carrot, curry leaves and salt. Add this mixture to the above sauce pot having the hot boiling water. When the rice flour mixture is still warm, form it into a dough. The dough feels soft but holds its shape when formed into a ball. 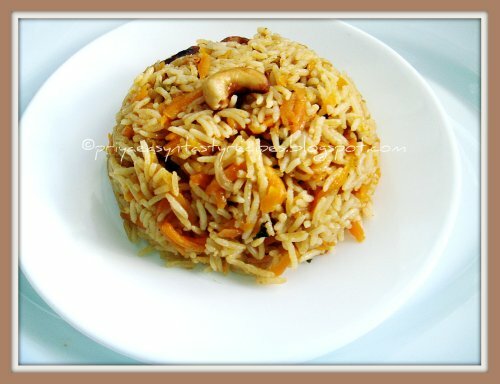 Apply quarter tsp of oil and place a portion of carrot rice flour mixture on the pan. 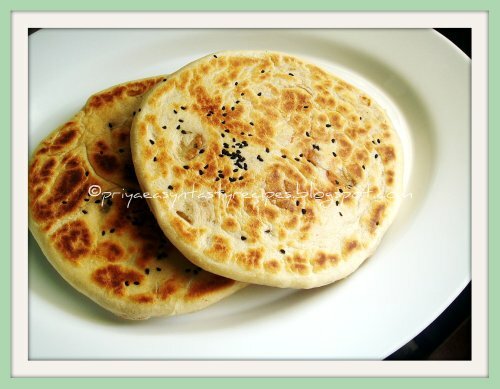 Make couple of perforations on the roti to let the insides cook. Uncover and fry the roti on medium high heat for couple of minutes on both sides. Remove the carrot roti onto a plate and repeat the same with remaining portion of the mixture. Serve carrot roti with mango pickle and few tbsps of yogurt. 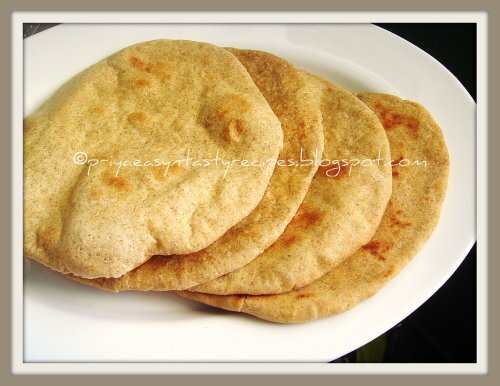 Suggestions: Roti is hard – reduce amount of rice flour and cook for less time. 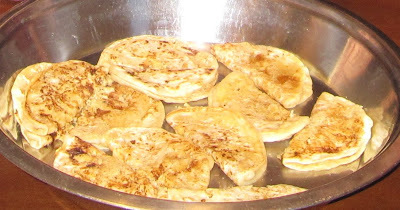 Roti is starchy – cook on low heat for more time. Roti breaks – add more rice flour to bind the next portion. Variations: Also check the roti category. Other Names: Carrot Roti, Carrot Tapala Rotti. Mix the active dry yeast in luke warm water with a teaspoon of sugar, keep aside until they turns foamy..Now take all the ingredients in a large bowl, gradually add the foamy yeast mixture and make a smooth and soft dough..keep aside for an hour in a greased bowl...Divide the dough into 8 medium sized balls and cover with a damp cloth and let them rise again for half an hour..
Now take a ball and roll into as a rope, join the ends together..place the rings over a baking sheet, brush the top with milk and springle sesame seeds (optional)..Preheat the oven to 350F...Let them sit again for 10minutes..Bake this Ka'ak to 20-25minutes.. Serve with any spreads or enjoy simply..
Khubz, Khoubz or Khobz is an Arabic word for bread which refer to a flatbread that forms the staple food of many countries like Arabian Peninsula, Lebanon, Syria etc..In Arabic Peninsula, the most common type of bread is mostly a large type of flat bread and its traditionally baked in special oven, the dough is rolled out like pizza dough and it baked in oven..The Arabian style khobz are also called as Khuboos or khubus, its looks similar liks pita bread or either like our Indian roti 'Naan'..Usually this bread is prepared with all purpose flour but i prepared this bread by combining both all purpose flour and whole wheat flour, i got this recipe from Faji's Hot Pot which i bookmarked few days back..Thanks to Faji, i enjoyed making this bread and we loved it with hummus and salad..Sending to Priya's Bookmarked Recipes & to AWED- Saudi Arabia guest hosted by Niloufer, event by DK, Champa's Bake Off & Susan's Yeast Spotting.. Mix the yeast,sugar and salt to the luke warm water and keep aside for 5mins..Take both flours in a bowl, gradually add the foamy yeast,olive oil and knead everything as soft dough..Keep this dough in a bowl for 2hours..After the dough get doubled their volume, punch down and knead again for few minutes..Make 6-8medium sized balls from the dough and keep aside for 10minutes and cover with a damp cloth..Preheat the oven to 250C..meanwhile roll the balls as medium sized circles, arrange a rolled disc over a baking sheet, finish rolling the dough as disc, bake one by one in the middle rack of the oven..Bake for 5 minutes until it puffs fully and brown spots appears on the top.. Serve this bread with any spread along with any veggies or meats..
which sounds particularly easy since these vadas doesnt go for soaking dals or grinding, immediately i wanted to give a try and today i prepared these crispy vadas for our lunch and enjoyed along with sambar rice..both together works out wonder and we enjoyed this crispy vadas, thanks to Uma for sharing this easy carrot vadas which gets ready in less time also gets vanished in less time...Sending these both dishes to Nupur's Its has been a long i prepared carrot rice and this time i want to prepare them something different and i went through my foodie bloggers spaces and finally Shabitha's Carrot rice tempted me a lot as she prepared as like her mom's preparation and this rice goes for a easy cooking process also its a easy breezy complete one pot meal..Thanks to Shabitha for sharing this delicious carrot rice, we enjoyed having and am gonna prepare this carrot rice often, i served this carrot rice simply with papads and egg fry..A prefect lunch box menu to enjoy anytime also its a best and better way to sneak carrots...I saw some crispy carrot vadas at Uma's Carrot VadasBB7-The Iron Chef Edition..
Soak the rice in 3cups of water for 15minutes,Heat enoug ghee +oil in a pressure cooker, fry the whole spices until they turns brown, add immediately the onions, ginger garlic paste and saute well, now add the mint leaves, slit opened green chillies and salt , saute for few minutes..now add the grated carrots, red chilly powder and saute for few minutes..Sprinkle little water and allow the grated carrots to cook, once they get half cooked, strain the soaked water and add it to the cooking carrots..bring it boil..now add the rice, close the pressure cooker and cook upto 2 whistles, once the steam get released add the lemon juice and give a stir gently.. Serve hot with papads or spicy egg fry..
Heat the oil for deepfrying, meanwhile take all the ingredients in a bowl and mix together as a dough with little water..take a small portion from the dough and shape them as vadas, drop gently to the hot oil and fry on both sides until they get well cooked..
Qahwa Arabeya, the Arabic coffee is a symbol of hospitality, this coffee is never prepared with milk or sugar and its usually served with dates, fruits or any other sweets, the ritual of serving coffee in Arabic countries is sign of welcoming their guests..This coffee is served as black coffee prepared with coarsely grounded cardamom, saffron and rose water with coffee powder..It has a special coffee pot called dallah and the coffee cups are small but with no handle. The portions are very small, covering the bottom of the cup. 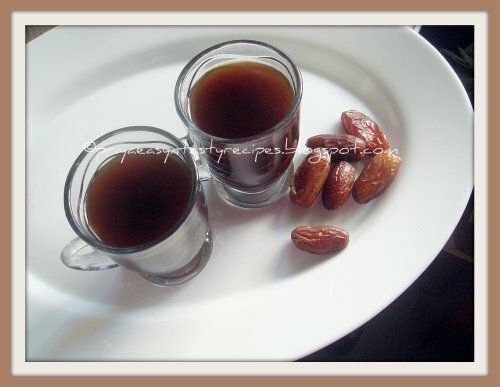 It is served in houses and in good restaurants,also offered at most social events like weddings and funerals...I loved this perfumed black coffee and enjoyed with dates..Sending to AWED-Saudi Arabia guest hosted by Niloufer, event by DK.. Boil the water in a pan, add the coffee and let it boil in simmer for few minutes,put the cardamom powder, saffron strands and rose water in a pot, strain the coffee to the pot and keep aside for few minutes..
Chana dal is either boiled or pressure cooked till soft and whole. Fresh spinach is roughly chopped and cooked in garlic infused oil. Finally cooked chana dal is added to spinach and briefly cooked. Serve spinach with chana dal over plain steamed rice or with roti. Makes: around 2 Servings of Spinach with Chana Dal. Boil chana dal in a cup of water until the dal is soft and whole but not mushy. Wash and roughly chop the spinach and its tender stems. Peel, slice and lightly crush the garlic cloves. When mustard seeds stop spluttering, stir in green chiles and garlic cloves. Stir fry for few seconds, stir in chopped spinach and turmeric powder. Cook covered till the spinach completely wilts. Now add the boiled chana dal. Stir fry for couple of seconds and season with salt. Remove from heat and serve spinach with chana dal over plained steamed rice or wrapped in roti. Notes: Make sure not to overcook chana dal. Suggestions: Don’t remove chana dal from heat until its soft. Reserve any leftover water to make chana dal rasam. Don’t strain the chana dal until required else it dries out fast. Variations: You can also add few drops of tamarind pulp if desired. Other Names: Spinach with Chana Dal, Palakura Senagapappu Podi Pappu. I tried out this oil free cabbage chutney yesterday for our dinner and served along with hot steaming idlies, we loved this tangy cabbage chutney and its completely oil free, yea i didnt used even a drop of oil for making this beautiful chutney and this chutney tastes fabulous even when i served them along with curd rice..Easy breezy chutney which is completely oil free gets ready in less time as i went for microwave cooking for cabbage chunks while i dry roasted the spices in stove top..Sending this delicious tangy chutney to Complete My Thali - Chutneys hosted by Jagruti..
Take the chopped cabbage, tamarind , ginger with salt in a microwave bowl and cook for 10minutes high in microwave oven, meanwhile dry roast the coriander seeds, dry red chillies and urad dal, roast everything until a nice aroma comes out..take everything in a mixie, grind as bit coarse paste by adding water if needed.. Transfer the chutney to a bowl and enjoy as side dish with idlies, dosas or with rice..
Heat oil, let splutters the mustard seeds and urad dal, add the chopped onions, curry leaves and saute until the onions turns transculent, now add the chopped beans, salt, turmeric powder, chilly powder and saute for a while, add some water and cook the veggies until they get well cooked, meanwhile grind the roasted gram as coarse powder, add this coarse gram powder to the cooked veggies, give a stir and cook for few seconds, put off the stove..
Take the corn flour, besan flour, ginger garlic paste,salt and red chilly powder along with beans, sprinkle few water and combine everything well until the beans get coated..Heat the oil for deep frying, slowly drop the flours coated beans into the oil and deep fry until they turns golden brown.. In an another pan, heat some oil, add the minced ginger and mince garlic, green chillies and curry leaves, fry for few minutes, add the chopped onion and saute for few minutes, now add the bean fritters to the onions, stir fry in high flame for few seconds, add immediately the red chilly powder, coriander powder and salt (as per need), toss everything gently and cook for few minutes in high and put off the stove.. 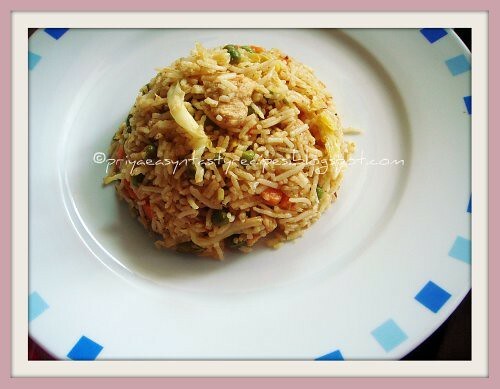 Enjoy as side dish with any sort of rice dishes.. Bottle gourd / lauki is chopped up and boiled in sufficient water or steamed till soft and whole. Oil is tempered with spices and bottle gourd is briefly cooked in freshly prepared mustard seeds and red chile paste. Serve bottle gourd with mustard seeds over plain steamed rice and dollop of ghee. Makes: around 3 Servings of Bottle Gourd with Mustard Seeds. Soak red chiles in few tablespoons of warm water and keep aside. 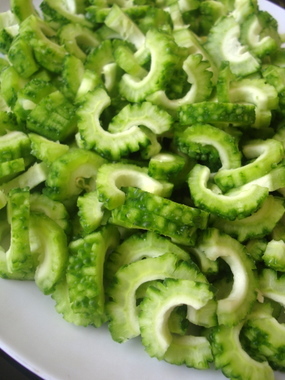 Peel, remove ends and chop the bottle gourd. Boil the bottle gourd in a cup of water till its tender while still holding its shape. Just before removing the bottle gourd from heat, add sufficient salt and let it boil for another minute. Using a mortar and pestle, grind the mustard seeds with few drops of oil into paste and add the red chiles and grind again into coarse paste. Alternatively, use a spice grinder to first grind the mustard seeds with a pinch of salt into fine powder. Then add the soaked red chiles and grind again into coarse paste. When mustard seeds start spluttering, add boiled bottle gourd, ground mustard seeds red chile paste, turmeric powder and salt. 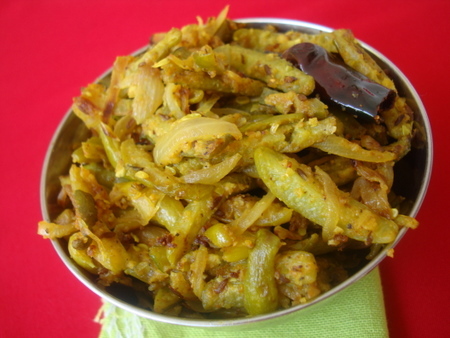 Cook till most of the moisture is gone and bottle gourd pieces are soft and whole. Serve bottle gourd with mustard seeds with steamed rice and dollop of ghee. Notes: Make sure bottle gourd is cooked properly. Suggestions: If the bottle gourd is not cooked properly, cook covered on low flame with a splash of water till done. Variations: Using a mortar and pestle to grind the mustard seeds results in a better texture of the hot mustard paste. 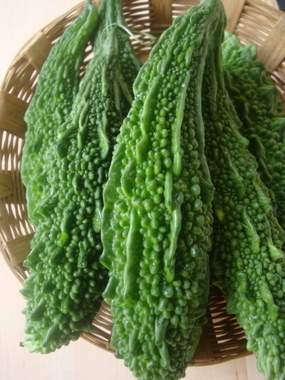 Other Names: Bottle Gourd with Mustard Seeds, Sorakaya Ava Pettina Kura, Anapakaya Ava Petti. Veru Senaga Pappu Perugu Pachadi. Makes: around a Cup of Peanut Raita. Add raw peanuts to a thick bottomed pan on low heat. Let the peanuts turn golden in color and then remove from heat. Let the seeds cool and rub them between hands to peel off the skins. Then grind the roasted peanuts into somewhat fine powder with salt. Whisk yogurt with roasted peanuts powder, turmeric powder and salt. Let the green chiles cook for couple of seconds, stir in onion and salt. When onion turns translucent, add chopped cilantro and remove from heat. Pour the talimpu / tempering into the above yogurt bowl having peanuts powder and mix well. 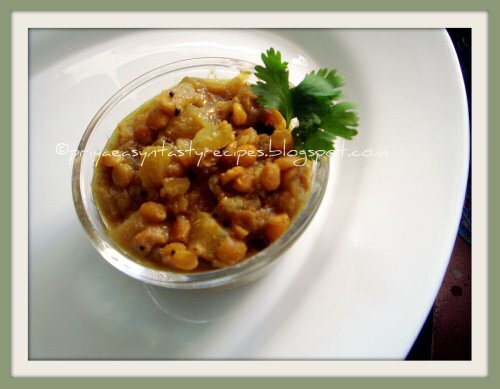 Serve peanut raita with idly, dosa etc..
Notes: Make sure to roast the peanuts right. Suggestions: Adjust the consistency of the peanut raita with water. Variations: You can also add a tbsp or two of scraped coconut to the raita. Other Names: Peanuts Raita, Veru Senaga Pappu Raita, Pallilu Perugu Pachadi. 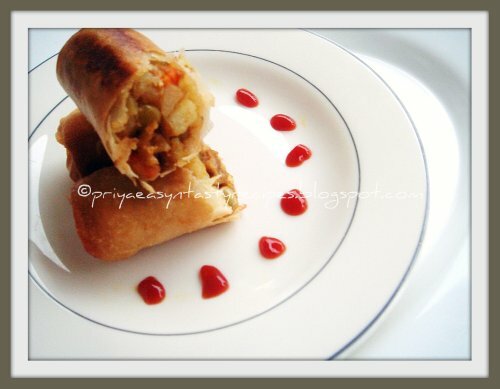 I have completely forgotten a packet of soya chunks and while going through my pantry today, i found a packet of soya chunks sitting sadly,finally i finished half of the packet of soya chunks for making this spring rolls where i combined those cooked and grounded soya kheema along with chopped potatoes, carrots and green peas and prepared a spicy filling for making this crispy spring rolls..Everyone at home enjoyed this spring rolls for evening snacks and am really glad to finish half of the soya chunks for making a spicy filling which turned out really tasty and these crispy spring rolls suits prefect as evening snacks, sending this Indianised spring rolls to Global Kadai-Indianised Chinese Spring Rolls guest hosted by Niloufer, event by Cilantro..
Cook the soya chunks in salted water, once they doubled their size, put off the stove..Squeeze out the excess of water and ground them as coarse paste,keep aside..Heat enough oil, saute the chopped onions with salt until they turns transculent,now add the chopped carrots, chopped green peas and potatoes, saute for few minutes, now add the chilly powder, garam masala powder, cumin seed powder,curry leaves and saute everything in simmer, sprinkle little water to the veggies..finally add the soya kheema to the cooking veggies..Cook everything in simmer until the veggies get well cooked..Add the chopped coriander leaves and put off the stove..let the filling get cooled completely..
Make a thick paste with maida and water, fill gently a pastry sheet with the already prepared spicy veggies and soya kheema filling and fold them as spring rolls, glue the end with the maida paste, finish the remaining pastry sheet..Heat oil of deep frying, drop gently the rolls and fry until they turns golden brown, strain the excess of oil with a paper towel.. 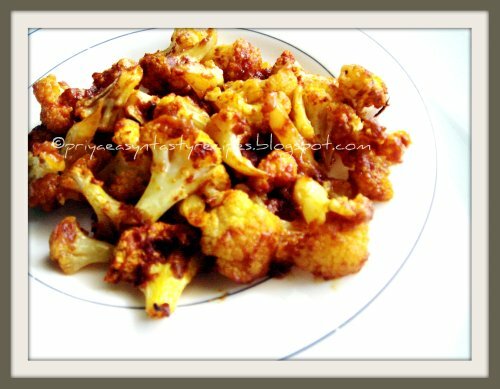 I have bookmarked this oven roasted cauliflower at Madhuram's Eggless Cooking quite a long back and this oven roasted spicy cauliflowers are quite a familiar dish for me coz i prepare them often whenever i get a cauliflower, at the same time it goes for less ingredients..Its completely guilt free since its gets roasted in oven..This South Indian style overn roasted cauliflowers goes awesome as an appetizier also as side dish for any sort of rice dishes or else even as snacks with ketchup..I do this often and this time i didnt forget to take some clicks, thanks to Madhu for sharing a spicy and delicious roasted cauliflowers, we love these spicy cauliflower florets as its our family's favourite dish..Sending to Priya & Aipi's Bookmarked Recipes and Srivalli's Kid's Delight-Finger Foods & to Ayeesha's Any One Can Cook.. Mix everything along with the cauliflower florets, preheat the oven to 425F, line a baking sheet over a baking pan, gently arrange the spiced florets one by one and bake them for 20-25minutes in middle rack..toss it once or twice while roasting..For crispiness, turn the oven to broil mode for 5minutes and toss once the florets to turn crispy..
Wash dondakayalu and nip the tip and tail ends. Slice them into thin pieces and keep aside. Heat a heavy bottomed cooking vessel, add oil, once hot, reduce to medium flame. Add cumin seeds and curry leaves and fry for a few seconds till the aroma emanates the kitchen. Add the dondakaya pieces and saute on medium heat for 3 mts. Add the sliced onions, reduce to low flame, place lid, let it cook, approx 15 minutes. Keep checking in between, sauteing them so that they don’t burn. The sauteed tindora will lose moisture and begin to have a wrinkled appearance. Remove lid at this stage and saute on low for 7-8 mts. Add salt and turmeric pwd and mix well. Saute on medium heat for 5-6 minutes, keep sauteing so that it doesn’t burn. Add red chilli pwd and coriander pwd and mix. Cook on low-medium flame for another 12-15 mts, without lid. Add pappula podi and mix well. Turn off heat. I have prepared this droolworthy and spicy pepper mushroom spring rolls last weekend and served along with ketchup for my son's birthday..I simply prepared this pepper mushroom masala just with button mushrooms prepared with potatoes and spiced powders..This pepper mushroom masala with potatoes tastes truly fabulous and this spring rolls suits prefectly for evening snacks or either for a party menu appetiziers..Also this masala gets ready really very quick and this spring rolls was our recent favourite snacks, we loved it..Sending to Global Kadai - Indianised Chinese Spring Rolls guest hosted by Niloufer, event by Cilantro..
Dry roast the black whole peppercorns for a while, grind the roasted peppercorns as smooth powder and keep aside.. Heat a pan with oil , add the finely chopped onion and saute until transculent, add the ginger garic paste and stir until the raw smell disappears,now add the mushroom pieces,chopped potatoes, coriander powder, redchilly powder, garam masala powder with enough salt and cook in simmer, mushroom will leave water and cook well in medium flame..when the water gets evaporated,add the grounded pepper powder and curry leaves and cook in simmer for few minutes until the mushrooms and potatoes get well coated with pepper powder.. 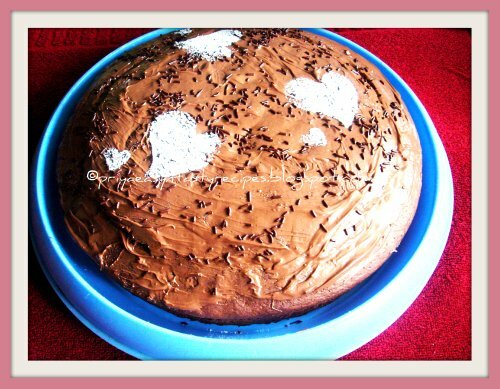 I baked this simple chocolate orange cake last weekend to celebrate my son's birthday, this cake goes for really very simple process and i enjoyed making them, i love orange flavours in chocolate cake and this time i prepared out this cake with chocolate, orange juice along with orange peels..needless to say how they tasted..we loved much, its a delicious, quite a spongy cake with orange flavour..A fabulous treat to chocolate lovers and i love baking and enjoying this cake with hot coffee for my sunday evening snacks, this cake stays prefect for more than three days in room temperature..Sending to Champa's Bake Off..
Heat chocolate and milk in microwave bowl for 2 minutes, mix well until the chocolate gets well melted...meanwhile mix all the dry ingredients together n keep aside, whisk together eggs,butter, sugar n orange juice, until the sugar get well dissolved...add the milk n chocolate mixture..finally add the orange rinds n whisk everything well..preheat the oven for 350F..
Now add the dry ingredients n mix everything well, pour the cake batter in a greased round pan and bake for 20-25 minutes in middle rack...let them cool..Just spread the nutella spread over the cake and sprinkle some chocolate vermicellis.. Enjoy with a cup of hot coffee.. This is a sweet version of regular rice flour dosa. Jaggery is dissolved in water and mixed with flour and flavorings. The batter is then poured onto a hot griddle until the dosa is cooked and little crisp. Serve jaggery dosa immediately. Makes: around 5 Jaggery Dosa. In a mixing bowl, add jaggery and a cup of water. Mash and let all the jaggery dissolve in the water. Stir in cardamom powder and nutmeg powder. 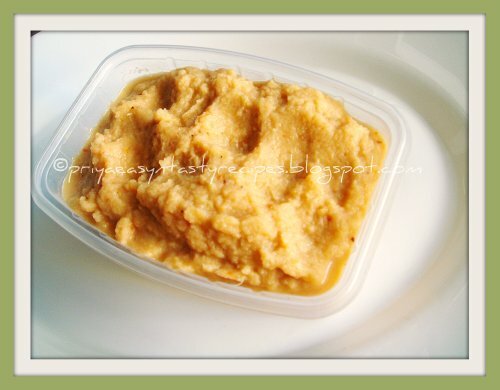 Once the jaggery is dissolved, stir in rice flour, wheat flour, jaggery and salt. Add more water if required and make the mixture into a somewhat thin pourable batter. When pan gets hot, pour a ladle full of jaggery dosa batter on pan in circular motions. Try to fill up any big holes and form into 6 – 7 inch diameter dosa. Repeat the same with remaining jaggery dosa batter. Notes: Make sure jaggery dosa is little crisp before removing from heat. Suggestions: For fresh nutmeg powder, scrape the nutmeg a couple of times on a fine grater. 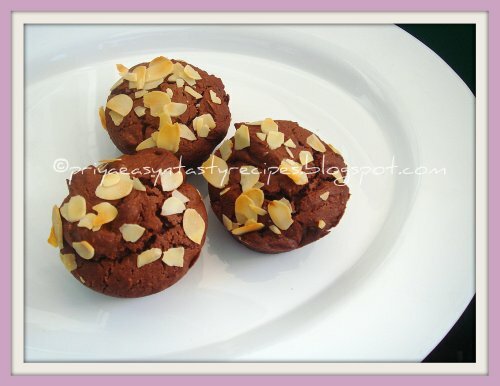 Variations: You can also add chopped nuts like cashews, blanched almonds etc. Other Names: Jaggery Dosa, Bellam Dosalu. Toast the sesame seeds on a thick bottomed pan on low heat. Let the sesame seeds turn light golden in color and remove from heat. Let the seeds cool and grind them into fine powder with salt. Whisk yogurt with sesame powder, turmeric powder and salt. 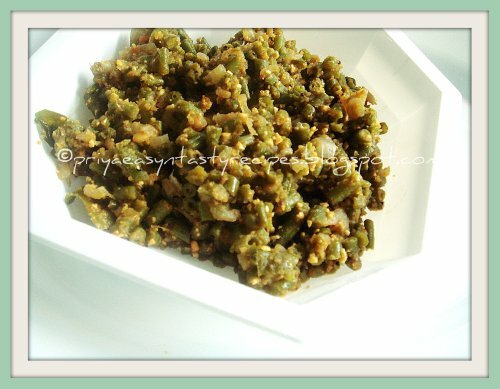 Let the green chiles cook for couple of seconds and remove from heat. Pour the talimpu / tempering into the yogurt bowl having sesame powder and mix well. Serve sesame seeds raita with idly, dosa etc..
Notes: Make sure to toast the sesame seeds right. Suggestions: Adjust the consistency of the sesame seeds raita with water. 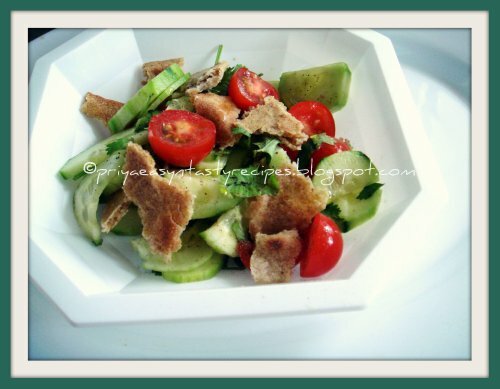 Fattoush is a traditional salad made from toasted or fried pieces of pita bread (khubz 'arabi) combined with mixed greens and other vegetables. Fattoush are made by Arab cooks using stale flatbread as a base.. To make fattoush, cooks use seasonal produce, mixing different vegetables and herbs according to taste and use stale pita breads to this salad. The vegetables are cut relatively as large pieces compared to tabbouleh which requires ingredients to be finely chopped. Sumac is usually used to give fattoush its sour taste..I prepared this salad with some stale Khobz' Arabi which is prepared few days back with whole wheat flour, this salad was truly refreshing, easy also filling , prefect for dinner or either for lunch during hot summer, sending this fattoush to AWED-Saudi Arabia guest hosted by Niloufer, event by DK.. Mix the oliveoil, lemon juice, salt and pepper powder in a bowl..take the shredded lettuce, chopped parsley, chopped mint leaves, chopped onions, flatbread bites,chopped bellpepper, diced tomatoes,sliced cucumber in a bowl, add the dressing and toss everything well..Serve chilled.. Enjoy this salad either for lunch or for dinner..
Flattened rice / poha is soaked in water for couple of seconds and strained. Oil is tempered with spices and dals. The soaked poha is then added to the tempered oil along with grated mango as a final step. Serve mango poha with few Tbsps of yogurt and a mango pickle. Makes: around 2 Servings of Mango Poha. Peel, discard pit and grate the raw mango (around 3/4 Cup). Wash poha under fresh running water for a minute. Strain the poha and keep aside. Fry till the green chiles change color around the edges. Then stir in raw mango, strained poha, turmeric powder and salt. Serve mango poha immediately with a mango pickle if desired. Notes: Don’t over soak the poha / flattened rice in water. Suggestions: Make sure raw mango is sour enough, else squeeze few drops of lemon. Make sure to get the poha soaked right. Don’t wash for a long time which makes poha disintegrate. If you soak them for less time, poha feels hard to the bite. Variations: You can also add red chile powder for extra spice. Other Names: Mango Poha, Mamidikaya Pulihora Atukulu. Heat enough oil in a pressure cooker, add the curry leaves, cumin seeds and fenugreek seeds and saute until they turns brown, add the finely chopped tomatoes and fry for few minutes, now add the potato chunks, salt,turmeric powder, chilly powder and coriander powder and saute everything for few minutes..add enough water,close the lid and cook upto 2whistles..once the pressure get released, garnish with coriander leaves and enjoy along with rotis or pooris..
Kulcha is a type of Indian flat bread made with a either maida flour or with a combination of maida or whole wheat flour, its quite popular in North India and its usually baked in an clay oven until its turns golden brown, since its not that much easier to get a clay oven here, i went for stove top for cooking this kulchas which i stuffed with a spicy aloo matar masala, this kulchas tastes spicy, delicious at the same time,also its quite an easy flatbread which can be conserved two or three days in fridge, everyone at home enjoyed just having the kulchas with thick curd spices with a simple tadka and we loved it..Sending this kulchas to CWS-Nigella Seeds guest hosted by Umm Mymoonah..
Heat oil, fry the fennel seeds, saute the onions and salt until the onions turns transculent, now add the green peas, chilly powder, coriander powder and garam masala,cook everything simmer until the veggies get half cooked, add the cooked and smashed potatoes, saute everything for few minutes..finally add the coriander leaves and put off the stove..keep aside and let them cool, makes 6-8 medium sized balls of this masala.. Meanwhile make the dough for kulchas, combine all the ingredients except the oil and nigella seeds, make a smooth and soft dough,keep aside for an hour..Knead again the dough and make 6-8medium sized balls, flatten the ball with a rolling pin, gently place the already prepared masala ball, cover the stuffing with the dough and roll again as flat disc..brush the kulchas with oil, sprinkle the nigella seeds..
Heat a tawa,once its hot..gently place the kulchas (no need of drizzling the oil) and cook on both sides until they turns golden brown..Enjoy with any sort of side dishes..
Pressure cook Chana dal with 1:2 ratio of water until it is just done and not overcook (like 3 whistles). Drain the water. (With this water we can make rasam as below). Grind this dal into smooth paste. Add sugar and cook it on med flame for 10 - 15 mins stirring continuously. This will make the poornam firm and sweet. Make sure poornam is hard and makes firm ball. Add 3 tsp oil, soda & salt in maida and mix well. Then add water and mix like poori dough. Pour the remaining oil on the dough and let it sit for 30 mins. Make the poornam into small balls. Take maida dough 1/3rd size of poornam ball. Flat the maida ball in palm and place the poornam on it. Cover the poornam evenly by pulling the edges up. Place this ball on greased ziplock cover and flatten it thin with hand. Flip it on the hot pan and cook it both sides with some ghee on med flame. That's it!!! Hot hot bobbattu is ready. 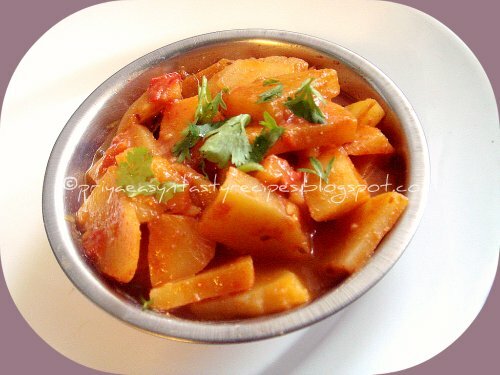 Serve with thick ghee on top or side. Take the above drained dal water, put salt and boil it. Do the seasoning with mustard, zeera, green chilli, red chilli and garlic. That's it! 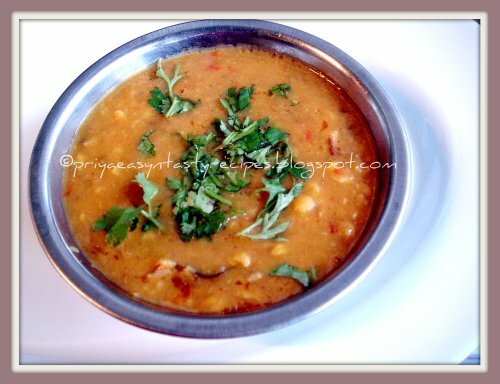 Tasty and healthy dal rasam is ready. One of my favourite and comforting food is any sort of dals, served along with rice topped with ghee and papads, its tastes absolutely divine and i never say no to dals..Since i was searching for a new combination of dal tadka, i went through Alka's Sindhi Rasoi coz her blog was choosed by Ria for this month's Tried & Tasted hosted by Ria, event by Lakshmi.. Alka have so many Authentic Sindhi dishes where u got many choices of dals with different and various combination of dals, but this three lentils mix dal catched my attention and i tried this tidaali daal yesterday for our dinner and served with chappathis, this dal tastes delicious and goes perfectly with rotis also with rice..This dal goes for quick and easy preparation, yeah its get ready in less time and we enjoyed it..U can see the original recipe here..
Soak the lentils in warm water for atleast an hour..Wash them properly,cook three lentils in pressure cooker with 3 cups of water,chopped tomatoes,finely chopped ginger and green chillies, turmeric and salt and wait for 5 whistles.once the pressure gets released,whisk the dals. Heat the oil in a pan, add crushed garlic,curry leaves,and cummin seeds and wait till garlic turns golden brown..Add this tadka to cooked dals and close the lid immediately,simmer it for few minutes..
Garnish with coriander leaves and serve with rotis or rice! 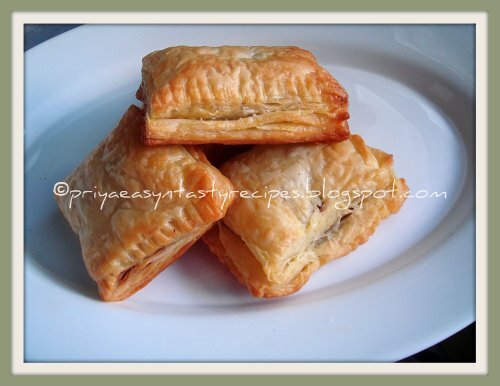 Wanna make some quick, easy breezy and delicious snacks for a lazy evening, u have to give a look at this droolworthy chocolate puffs, this puffs goes for just puff pastry sheet and any chocolate bar broken into large pieces..Actually i prepared this puffs accidently, yep its happens sometimes..I have completely forgotten a puff pastry sheet in my fridge and while cleaning my fridge i saw a puff pastry was sitting sadly, immediately i went for this quick puffs as i dont want make any filling and finished this droolworthy chocolate puffs with some leftover chocolate & almond bar... U believe me or not, i have to struggle to take this click as this puffs got vanished once i removed them from the oven..Its quite an easy snacks even a kid can prepare with the help of an adult..Simple puffs to enjoy with hot coffee or a masala tea or either after ur lunch as dessert, we loved it much..
Preheat the oven to 350C...Cut the puff pastry sheets as large rectangle, place a large piece of chocolate bar, fold as pockets and with a fork press the edges..arrange this puffs over a baking sheet and bake for 20-25minutes until the crust turns golden brown..
Toor dal is pressure cooked along with diced tomatoes till soft. For heat, ginger and garlic is fried in tempered oil along with onion. Finally cooked dal is added to the tempering along with tamarind extract. Tomato dal is boiled for couple of minutes and can be served with steamed rice and dollop of ghee. Makes: around 2 Servings of Spicy Tomato Dal. Wash toor dal under fresh water to remove any dirt. Wash and chop the tomatoes into small cubes. Soak tamarind in half a cup of warm water and extract all the juice discarding any veins. Place toor dal, chopped tomatoes and a green chile in the same vessel. Pressure cook the toor dal and tomatoes in 2 cups of water for 3 whistles. Heat oil in a sauce pot, add all talimpu ingredients in order along with garlic cloves. When mustard seeds start spluttering, add mashes ginger, garlic, remaining green chiles and chopped onion. Fry till sides of the onion starts to change color. Then stir in cooked toor dal and cooked tomatoes, tamarind extract, turmeric powder and salt. Cook on low flame for around 5 minutes and remove from heat. Garnish with chopped cilantro and spicy tomato dal with steamed rice and crispy papad. Notes: Make sure to cook the dal right. Suggestions: If the dal is not cooked well, put it back on heat and cook covered on low flame till done. If the dal becomes mushy, don’t overcook next time. Variations: You can also add few pinches of red chili powder or cumin powder just after removing from heat. Other Names: Tomato Onion Dal, Spicy Tomato Dal, Tomato Pappu. Our's today sunday lunch was this quick and easy breezy pulao with mixed veggies and marinated chicken chunks..Had a wonderful weekend and a lazy sunday,thats the reason i prepared this quick pulao instead of making briyanis or kurmas..This pulao needs hardly very less time and get ready very quickly when compared to briyanis or any other non vegetarian gravies, wat all we need is cooked basmati rice with coconut milk spiced with green chillies and sauteed with mixed veggies along with marinated chicken chunks..This dish doesnt even need side dish to enjoy and suits prefectly as a lunch box menu or for a party menu, we enjoyed it with carrot raita and we loved it..
Heat a heavy bottomed pan with enough oil, fry the bay leaves,cinnamon stick and cloves..add the chopped onions and grated ginger, sauté for few minutes..now add the marinated chicken chunks, saute for another few minutes and finally add the mixed veggies and saute everything with enough salt and garam masala until the veggies get half cooked in simmer..now add the already cooked rice and chopped coriander leaves,toss until every thing get well mixed.. Enjoy with papads or any sort of raitas..
Peanut butter are our favourite, i do often biscuits or else as simple spread over a toasted bread, yesterday i tried out those creamy peanut butter in my cupcakes along with chocolate..Both peanut butter and chocolate works out wonder together and this cupcakes tastes tremendous and enjoyed for our snacks also for our weekend brunch, with a cup of coffee this nutty chocolate cupcakes goes awesome and we enjoyed having this cute looking cupcakes..To give more crunchiness to this cupcakes i have just sprinkled few almond flakes over to this cupcakes..
Preheat the oven to 350F, line the cupcake pans with paper moulds..Mix the eggs, sugar,milk, vanilla extract and peanut butter together until they turn smooth, sieve the flours,dark chocolate powder, baking soda and baking powder together and gradually to the already prepared wet ingredients..mix everything well,dont overmix and spoon the cupcake batter to the paper moulds, springle the almond flakes over the batter and bake for 20-25minutes or until a toothpick inserted comes out clean.. I have bookmarked this dudhi chana nu shaak at Parita's Space...i have completely forgotten to try out but while going through few days back, i saw this dudhi chana nu shaak, since its a Gujarati speciality i wanted to try them during the weekend also wanted to send them to Nayna's event,we enjoyed this curry with rotis for our dinner..This curry is quite an easy side dish which get ready in less minutes since i prepared the whole cooking process in pressure cooker as Parita did..Thanks to Parita for sharing this easy breezy curry, its such a simple curry which goes terribly awesome as side dish along with rotis..Sending to Nayna's Flavours of Gujarat and to Priya's Bookmarked Recipes..
Heat oil in a cooker and fry the mustard seeds, cumin seeds, asafoetida powder and turmeric powder, add the chopped bottlegourd pieces, saute for few seconds and add salt, sugar, red chilly powder, cumin powder and coriander powder, saute everything for few minutes..add the washed channa dal and water to the veggies..mix everything well and pressure cook for 5 whistles.. 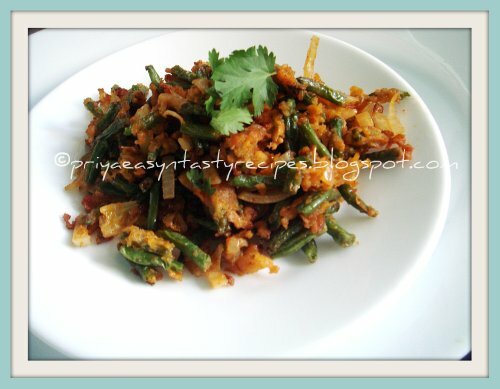 Enjoy this curry with rotis or rice.. 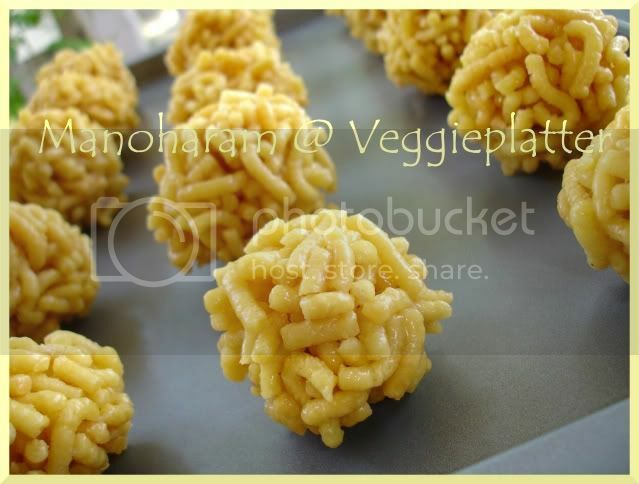 I was intrigued when Srivalli announced this month's Indian cooking challenge 'Manoharam' since the recipe sounded as a chakli - laddu combination and I was wondering how it would turn out since I had never tasted it before. However these 'manoharam' laddus turned out pleasantly pleasing when we tried them yesterday and thanks Srivalli for letting me (and even my mother) know about a traditional dish that we were unaware of. 'Manoharam' literally means beautiful in many of the Indian languages and this delicacy happens to be a popular dish from the southern state of Tamilnadu that appears during many celebrations there including weddings. * Store bought flours work well too in this recipe. However, if you are planning to prepare the flours from scratch, follow these directions. Both rice and dal can be ground at home (or flour mills if living in India.) 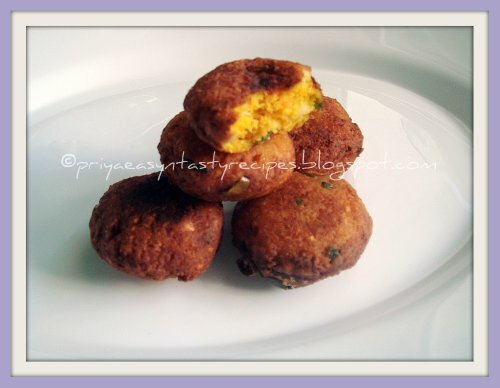 The ratio of rice flour to moong dal flour in this recipe is 2 to 1. Wash and drain about 2 cups of rice. Spread the rice over a clean cloth to absorb excess moisture and then sundry the rice. Grind the rice to a very fine powder. Sieve if necessary. Lightly dry fry 1 cup moong dal and powder it finely. 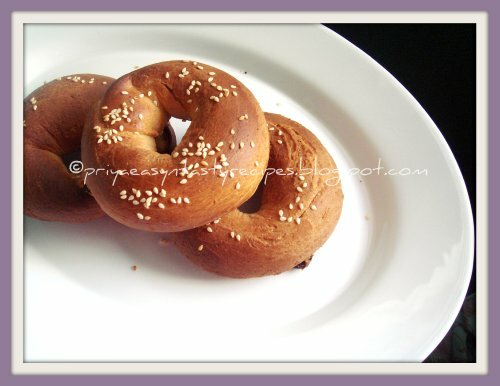 **The jaggery quantity in this recipe depends upon how much crumbled bits of chakli / thenkuzhal you have. 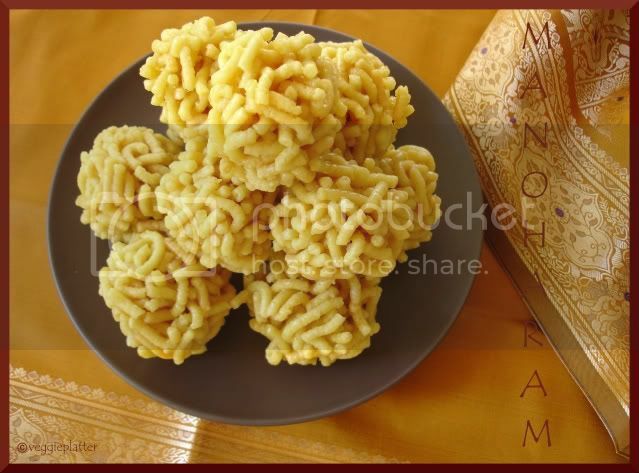 Srivalli mentioned 4 measures of chakli bits to 1 measure of powdered jaggery. I used a heaped cup of jaggery for 4 cups of chakli bits and this ratio worked perfect. * Heat oil in a kadai. To test whether the oil is hot enough to fry, slowly slide a pinch of dough into the oil. If it sizzles and comes to surface, then the oil is ready. If not, heat the oil a little longer. Take a small portion of the dough and fill in the chakli press. (Use the disc with three holes.) Using your hands, press the mould over the hot oil making circling motion so that coils of dough from the mold dropping into the oil make a circle shape. Fry on low flame till they are fried through out uniformly both sides and turn crisp. Don't let the chaklis turn very brown. Remove them with a slotted spoon and drain them on paper towels. Repeat the process with the remaining dough. * Cool them and break the chaklis into tiny bits. 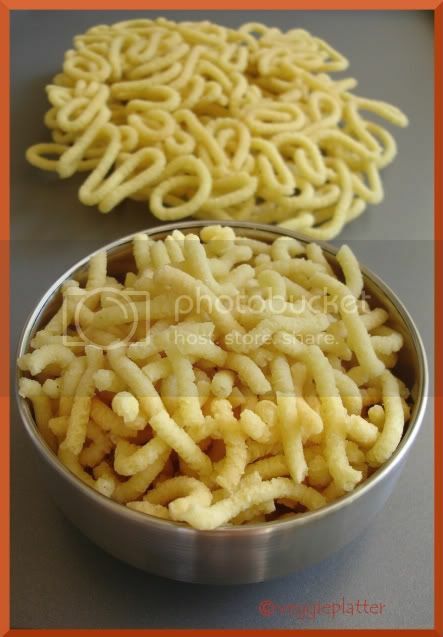 I saved a couple of chaklis, crumbled the remaining ones and had 4 cups of chakli bits. For 4 cups of chakli bits, 1 heaped cup of jaggery was perfect and I got about 15 of these laddus. * Keep a small plate with cold water ready by stove side to test whether jaggery syrup is done. Add jaggery and a few Tbsp of water to a big, sturdy, thick-bottomed vessel or a non stick pan and keep stirring on low flame. Pass through a strainer to remove any impurities, if present. Jaggery melts and begins to concentrate. Boil the syrup till it reaches a rollable hard ball consistency. To test, add few drops of jaggery syrup to the cold water and roll the syrup with your fingers to form a ball. It should keep its shape without melting in spite of tilting the plate to different directions. If you lift the ball off the water and drop it back into the water with force, you should be able to hear the sound of ball hitting the plate. This is the correct consistency. * Turn off the stove and remove the syrup. Add the murukku bits quickly and stir well so that the jaggery syrup coats evenly to the pieces. While still warm, grease your palms lightly with ghee and place a small portion of mixture between the palms and shape it into a ball. Greasing the palms is very important to shape the balls. Rasam Podi tho Gutti Vanakaya. 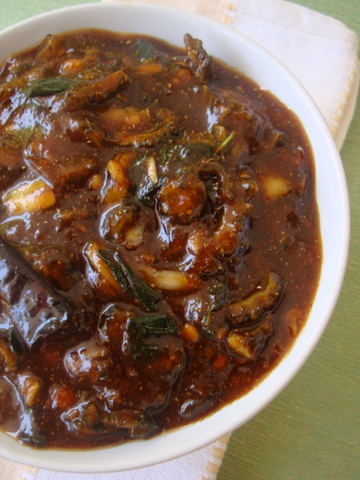 This is a quick and easy stuffed eggplants curry made with rasam powder. Onion is crushed with rasam powder and stuffed into baby eggplants. The eggplants are then cooked in tempered oil till soft. Serve the stuffed eggplants with rasam powder over plain steamed rice or with rice mixed with dal. Makes: 4 – 5 Stuffed Eggplants with Rasam Powder. Wash thoroughly and pat dry eggplants. Remove stems if you prefer and slit twice vertically keeping one end intact. Soak the eggplants in water to avoid oxidation. Using a mortar and pestle, crush the chopped onion with rasam powder, red chili powder and salt. Alternatively, use a spice blender to coarsely grind them. Remove the crushed onion spice mixture onto a bowl. Stuff around a tbsp of the prepared onion spice stuffing into each eggplant. Keep the stuffed eggplants onto a plate the reserve any leftover stuffing mixture for later use. Heat a tsp of oil in a pan on medium heat, add all talimpu ingredients in order. When mustard seeds start spluttering, arrange the stuffed eggplants into the pan. Fry briefly and pour half a cup of water and remaining stuffing mixture. Cook covered for around 10 minutes or until the eggplants are soft. Add few more splashes of water if the eggplants tend to stick to the pan. Once the eggplants are cooked properly, uncover and fry for few seconds till the skin turns light golden in color. Remove from heat and serve stuffed eggplants with rasam powder over steamed rice or with roti. Notes: Make sure the insides of the eggplants are cooked properly. Suggestions: Adjust the cooking time according to the size of the eggplants. If the stuffing becomes too runny, add more rasam powder to tighten it up. Variations: You can also add a tsp of tamarind pulp to the stuffing. Other Names: Stuffed Eggplants with Rasam Powder, Rasam Podi tho Gutti Vanakaya. I bought the readymade samosas to make the impromptu chaat for the weekend. I tried to make samosa chaat like Kailash Parbat. 1. Warm samosas per instructions. Warm cholays. 2. Place cholay in a serving plate. 3. Place samosas on cholay. 4. Drizzle some sweetened yogurt. 6. Sprinkle powders and cilantro. 1. Samosas can be made at home. I will post the recipe soon. Pani - Puri = Elco's pani puri! Your shopping trip to Elco is incomplete if you have not tasted that pani puri. Yeah, you can eat the other stuff too - chole tikki and even gulab jamun or all the different avatars of dosas including spring roll dosa from the nearby vendor. But still do not forget to eat the pani puri. Being many miles away from Elco, I have to make this pani puri all by myself! Something is better than nothing, huh? 1. Set all the ingredients ready to use. 2. Follow the directions on the back of pani puri masala and make pani ready. Add lemon juice to the pani. Refrigerate till ready to use. 3. Place 5 - 6 puris in each serving platter. 4. In small ramekins serve boondi, potatoes, moong. Keep a wide ramekin ready for paani adding chutneys as necessary. 1. Instead of moong and/or boondi, some pani puriwalas serve hot ragda. Hot ragda, chilled water, spicy, sweet, sour, - it's definitely gives the entire gamut of tastes to our taste buds! 2. I usually add chutneys to the chilled water before serving. 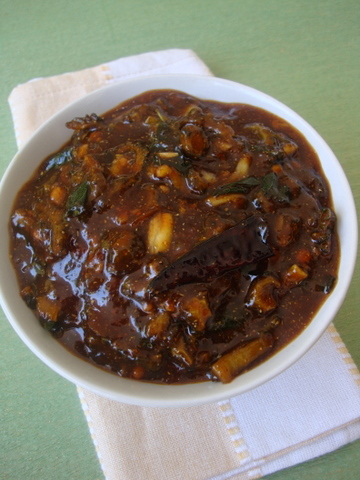 Everyone can adjust spicy or sweet chutney to their water if they want more. After coming to US, I started making chaats more seriously. When we were in India, we used to enjoy chaat at Juhu Chowpaty. and I always felt that whatever that "bhaiya" makes, is almost impossible to replicate. So in spite of mom yelling not to eat roadside food, we used to just gobble without any second thoughts. After coming to US, I started missing Chaats. and all the chaat falls in the "comfort food" zone of my husband so I had to figure out something pronto. Finally, I started making three chutneys. But as life started getting busier, it was almost impossible to make all these chutneys. I wanted less time consuming. So I decided to make three-in-one chutney which I call "Multi-purpose chaat Chutney!" It's easier to make this kind of chutney, once you have figured out the taste buds of your family. So you know generally how spicy or how sweet they like. Accordingly you can adjust the chilies/dates ratio. I always keep this brand of ready made hot chili-garlic sauce, just in case, someone asks for just a smidgen of spice! 1. Combine all the ingredients in a blender. Grind to a fine paste adding enough water to make chutney of desired consistency. 1. If you want to make individual chutneys, grind three chutneys separately adjusting salt in each one. 2. Any leftover chutney can be frozen. It can be thawed and used anytime you are in the mood for any impromptu chaat. 3. If you do not have kashmiri chilies, you can reduce the quantity of red chilies in red chutney because kashimiri chilies are not spicy but they add a vibrant red hue.